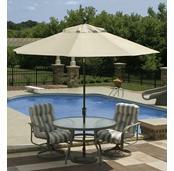 Bronze colored base for patio umbrella with art deco styling. Made from rust-free aluminum. Weighs 50 pounds. FREE SHIPPING! 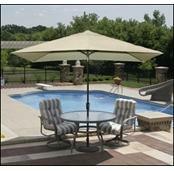 Add the finishing touch to your patio umbrella with this beautiful bronze colored base. 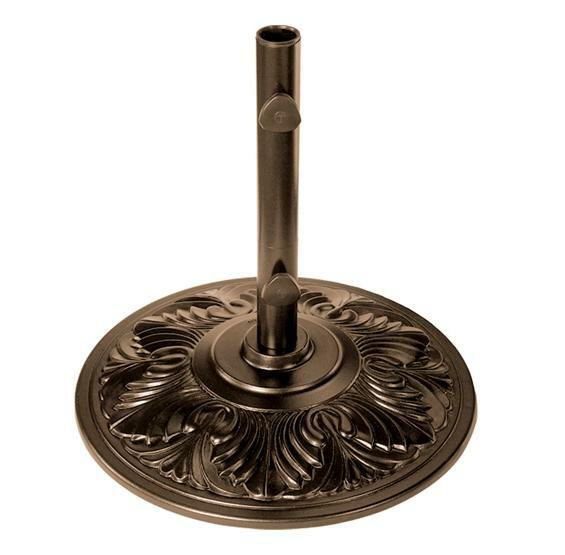 Designed to keep your outdoor patio umbrella upright and stable, this umbrella base is manufactured with a rust-free, aluminum shell and cast iron center. 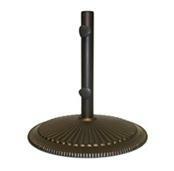 This 50 pound base includes two tightening knobs for a secure hold.